It’s worth being honest right off the bat here and saying, for the record, that Deus Ex: Human Revolution was my third favourite game of the last generation, behind The Witcher 2: Assassins of Kings and Red Dead Redemption. I, like many others, have been awaiting the arrival of its sequel with truly baited breath. In fact I’ve almost suffocated twice. And now it’s finally here and I’ve had the chance to revisit Eidos Montreal’s gold-tinged dystopia, the initial excitement has been tempered into something approaching comfort and, perhaps, relief. Mankind Divided is certainly no revolution, but the truth is, I’ve never been more grateful for the familiar. 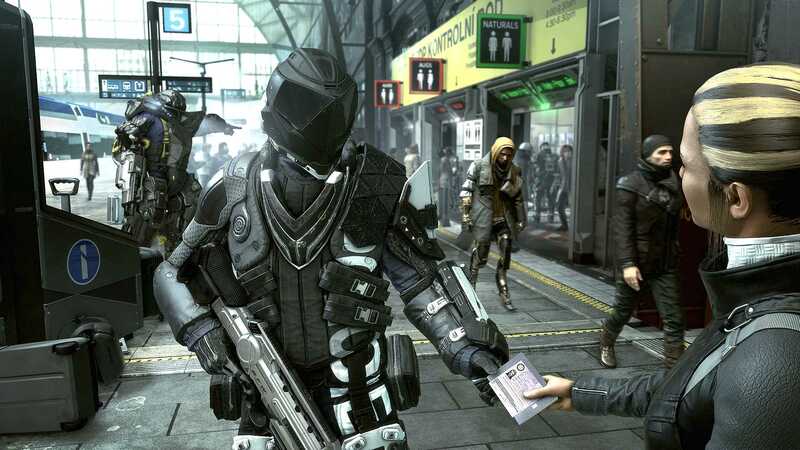 The universe of Deus Ex has always aimed to make us question what it means to be human. Is it what we are, or what we feel? Is it how we treat others, or how others perceive us? 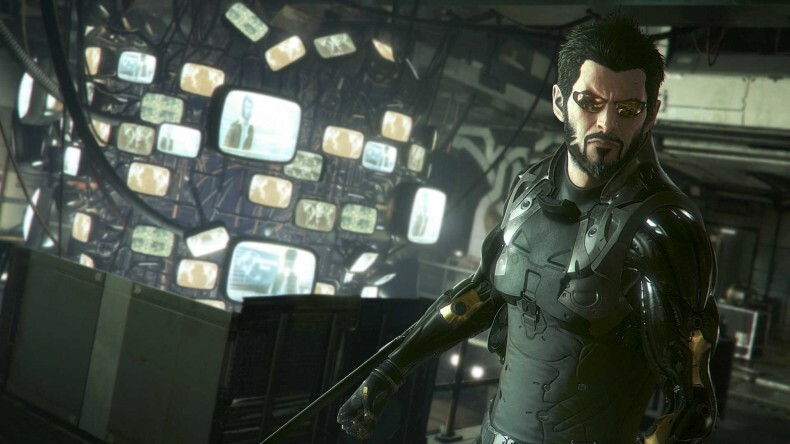 These questions are the lifeblood of Mankind Divided’s narrative, too, as cybernetically-enhanced protagonist Adam Jensen sets out to save a world seemingly hell-bent on destroying him purely for what he is. After the “incident” at the end of Human Revolution where a kill-switch hidden inside cybernetic augmentations turned people into deranged killers, the world is understandably less than comfortable with the idea of enhanced individuals wandering the streets. Dependent drug Neuropozyne is still a problem, and cities like Prague which once welcomed “augs” with open arms have now become as totalitarian as Detroit, with areas designed to facilitate the “mechanical apartheid” and keep people segregated. Thematically it’s all quite stunning and evocative. The Earth of 2029 is a hell of our own design, a festering cesspool wherein humanity is given just enough of a voice to openly condemn itself. It’s also incredibly bleak despite the consistent flashes of gold in the artwork, (although the relentlessly oppressive atmosphere makes the already stellar stealth option that much more powerful). Fresh from two years spent recovering in a “government facility” in Alaska, Jensen is now working for Task Force 29, a slightly shady organisation given the undesirable job of hunting down augmented terrorists under the guise of Interpol. Suffice to say, very little is as it seems, and while Jensen plays double-agent for a hacker group known as the “Juggernaut Collective”, he uncovers conspiracies within conspiracies that not only test his allegiances to the law and his colleagues but to humanity itself. A war is brewing between Augs and Naturals, and no matter who comes out on top, it’s going to be bloody. Once again, story is a hugely important element in Deus Ex, and once again it’s handled fantastically well. It never feels ham-fisted or clumsy, never rams its exposition or ideals down your throat. In fact, Mankind Divided is always forcing you to question your own nature and make often difficult choices with no clear right or wrong answer. The script and delivery are both strong, even if the cutscene animation leaves a fair bit to be desired. 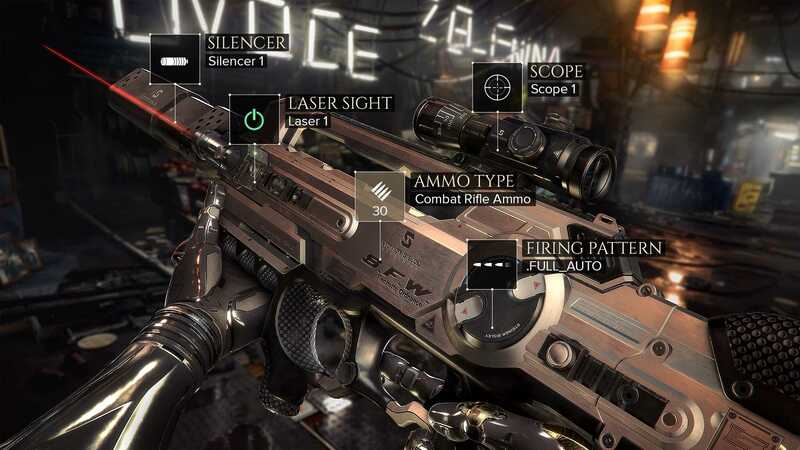 The four tenets of Deus Ex’s universe return: combat, stealth, social, and hacking. As before, it’s up to you how you play, and very few games grant such an impressive level of freedom. It comes with caveats, of course, but we’ll get to those – initially, it’s just really cool to be given so many options. Unlike the last game where you could bugger about for ages and essentially make the opening mission harder for yourself because of your tardiness, this campaign plonks you straight into the action as Jensen deploys with TF29 under the command of Director Miller and hard-bitten veteran McCready. Immediately, Jensen’s badassery is confirmed when he’s dropped on the other side of the mission area alone and given the choice between lethal and non-lethal gear. This is essentially a tutorial mission, so all his augments are unlocked and fully charged, giving you a taste of things to come, but there are still secondary objectives and a small army of enemies to deal with. Even though I went in with the combat rifle, I still chose to complete the mission without bloodshed or alarms, something the other characters commended me for later. The ability to save anywhere makes it a little easy to exploit the reload option, but the stealth is still some of the best I’ve experienced in recent years. Moving from cover to cover is slick, takedowns are instant and satisfying whether lethal or not (though they still trigger with a cut-away) and enemy search AI is solid. Cracks appear under scrutiny, though. For example, an early side-quest to infiltrate the CEO’s office in a major bank makes you feel like a stealth king, but guards only react when you either enter a restricted area or assault someone. I was nipping round the bank’s ventilation system, popping in and out of my optical camouflage cloak and no one even questioned it. It’s not game-breaking, but a six-foot cyborg in a trenchcoat should have people on alert even before he effervesces out of an air-vent. You may opt for the balls-out approach instead, and it may well be possible to murder your way through the entire bank. You’ll still find the passwords you need and achieve the end goal, you’ll just have a lot more blood on your hands and will have contributed to the sense of paranoia already gripping the planet. But who cares? If that’s how you want to play, you can, and the shooting is precise and gratifying. As before, the viewpoint shifts from first to third person when you enter cover, and then you’ve got guns (all of which are customisable), grenades, and gadgets at your disposal to clear rooms with extreme prejudice – and that’s before you even start to play with Jensen’s augmentations. 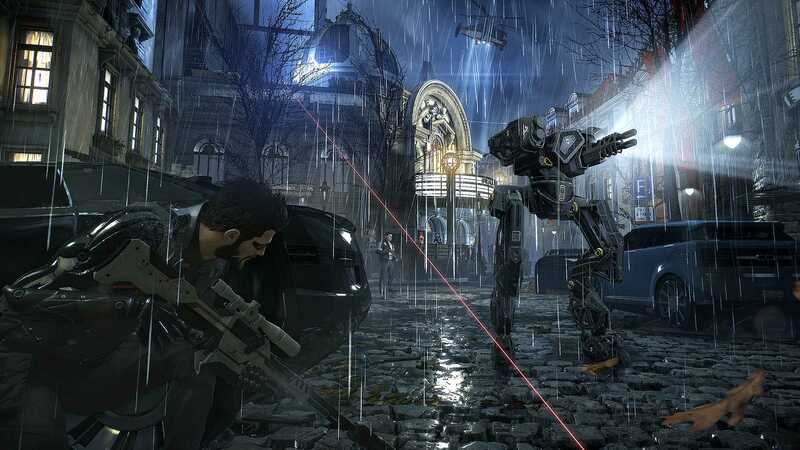 Super strength, a high-speed dash, a brutal 360-degree weapon system, silent takedowns, a full-body cloaking device… They’re all yours in exchange for Praxis Points (found in kits and awarded at XP milestones), and they’re all great, but the big change in Mankind Divided is the ability to “overclock” Jensen’s augmentation matrix. After you re-install your augments from the ground up (because story), you’ll unlock the option to equip experimental, black market augments such as, for instance, a high-propulsion wrist-blade launcher. Equipping them will send Jensen’s power usage way past 100%, though, and you’ll need to sacrifice other skills permanently in order to use them. This poses obvious problems but, as with everything, you can choose to ignore them altogether. Hacking returns in almost the exact same form as it existed in Human Revolution. It involves clearing a path to the unlock-node in the visual representation of an electronic security program, but each advancement takes time and has the chance to trigger a counter-measure. If you have enough pieces of hacking software (which do things like reveal hidden routes or bypass security altogether on your next move) you can poke around and uncover secrets, rewards and Easter eggs by plundering a device’s data-banks. Should you wish to avoid violence, sneakery, and computer literacy, you can always opt to try to talk your way through certain situations. Specific augments turn Jensen into a walking lie-detector able to read blood pressure, heart-rate, and pheromones to deduce which personality subset a person belongs to and therefore the best way to manipulate them or tell if they’re concealing information. Successfully getting one over on a cocky adversary this way can sometimes be as satisfying as infiltrating a criminal headquarters unseen or wiping out a squad of augmented soldiers single-handedly. But all this choice hard-wired into such a large and detailed world (I even lost a few minutes reading fictional movie posters in the streets of Prague) presents its own issues. Occasional framerate dips and tearing occur (on PS4, we found the PC version to be smooth as silk), and the physics go a little nuts now and then with thrown items and body placement, while some items will hover in the air when you remove what’s underneath them. These are minor visual glitches though, none of which are as distracting as the lip-syncing and conversation animation, which, in a generation that’s given us Uncharted 4 and Rise of the Tomb Raider, isn’t really up to scratch. Also, as I mentioned before, the rules of the world are occasionally indistinct. Entering a red area, assaulting a police officer, guard or civilian, or actively stealing/hacking in front of people will trigger alert status in those around you, but jumping off buildings and landing in a circle of orange lightning, leaping over cars and activating military-grade optical camouflage in the middle of a street never seems to spook anyone. Oh, and Jensen’s brutal but non-lethal takedowns are part of the stealth path and don’t alert nearby enemies, but they’re often anything but “silent”, and guards within shouting distance will ignore them if they can’t seem them. Once again, the real strength comes from its ability to make you forget those little issues and focus on the bigger picture, mainly because the bigger picture is staggeringly good at times. A compelling narrative is helped along by some great voice acting and backed up by gameplay that’s never short of sublime. Loading times between areas can be a bit of pain (though reloads don’t take quite as long), but the world is so stuffed full of things to see that you won’t mind. There are no big yellow exclamation marks over people here, and you can miss entire side-missions just by turning left instead of right while exploring the between-mission hub areas. I stumbled onto several side-quests just by wandering around and talking to people. No matter what you undertake, the rewards are always worth the effort. 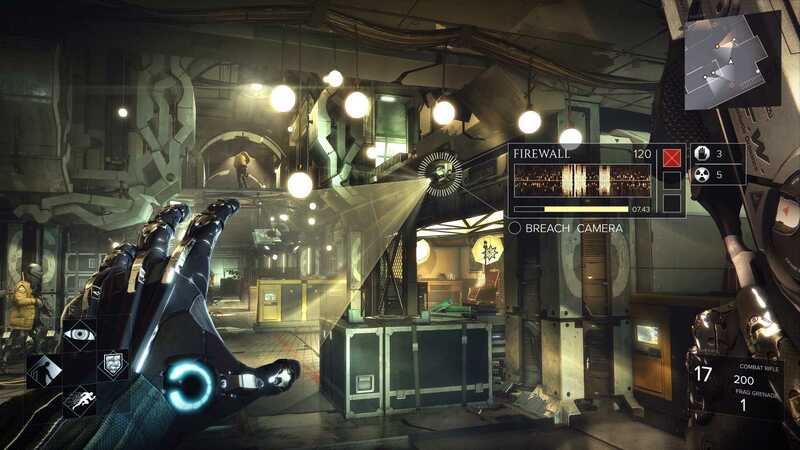 If you wish to experience the same gameplay outside the campaign, Breach is a fun aside that sees you infiltrating computer networks presented as 3D environments where the usual Deus Ex moveset applies. 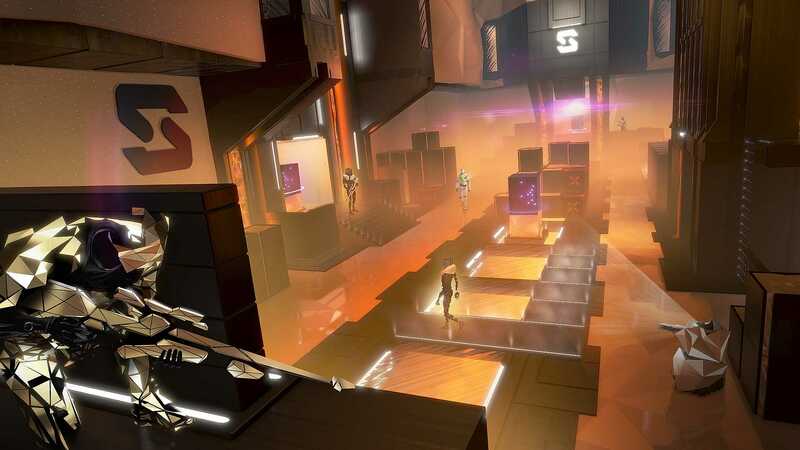 In this mode (as well as in similar sections within the campaign), you have to guide your avatar through a variety of physical puzzles, hacking walls and bridges in order to find the path to downloadable data nodes. It’s nothing revolutionary, but some stages provide a genuine challenge. There’s also a mode called “Jensen’s Stories”, which may or may not contain standalone missions or storyboards but which were unavailable to investigate at the time of writing. However you choose to play, Mankind Divided will satisfy. Solid gunplay and exceptional stealth are bolstered by a fun hacking mini-game and some interesting conversation mechanics, but those expecting a great leap forward from what has gone before in the series may be disappointed. This is very much more of the same, but the old “if it ain’t broke, don’t fix it” adage has never been more apt. Eidos have crafted a truly emergent experience in a varied and intriguing universe that is always eager to reward your efforts either with XP, collectibles or Easter eggs. Besides a few fairly minor issues and some cracks in the paintwork, Mankind Divided is a hugely playable adventure in a world that will stick with you every time you log off. Beautifully grim, relentless captivating, and humanly flawed, this dystopian vision is a compelling, tightly-crafted experience. Review code provided by publisher. PC version also tested and found to be well optimised – it ran really well on our 970 on the setting below Ultra. A solid sequel that comes close to but never quite surpasses its exceptional predecessor, Mankind Divided is nonetheless an essential purchase for fans of stealth and story.